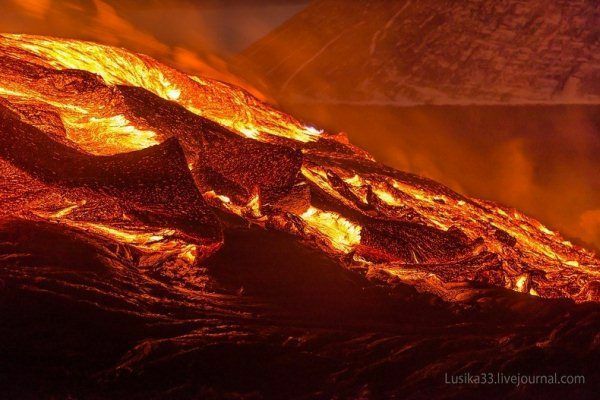 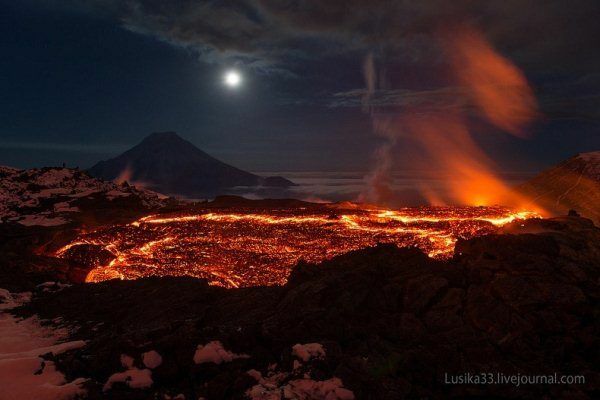 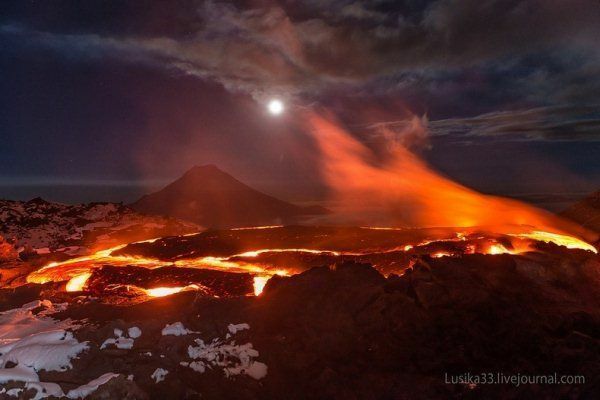 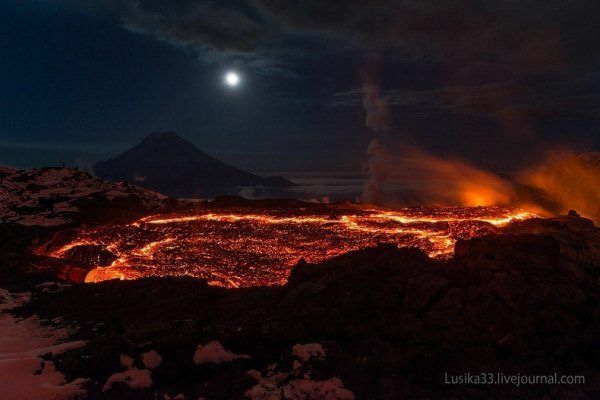 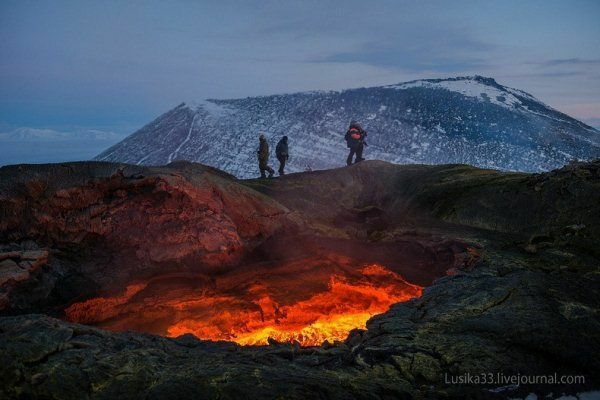 Plosky Tolbachik is an active volcano located in the eastern edge of Russia. 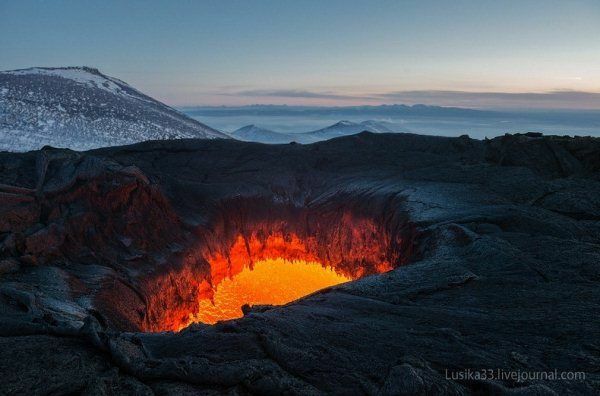 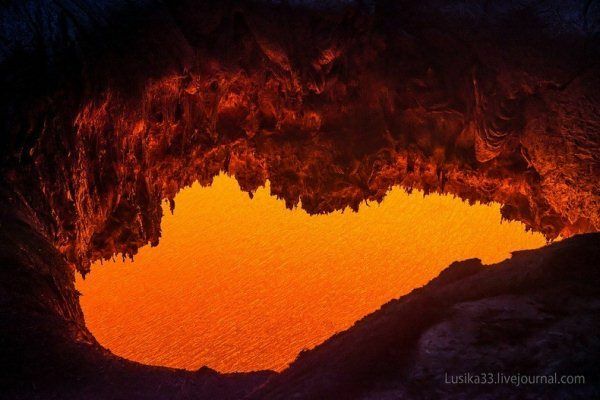 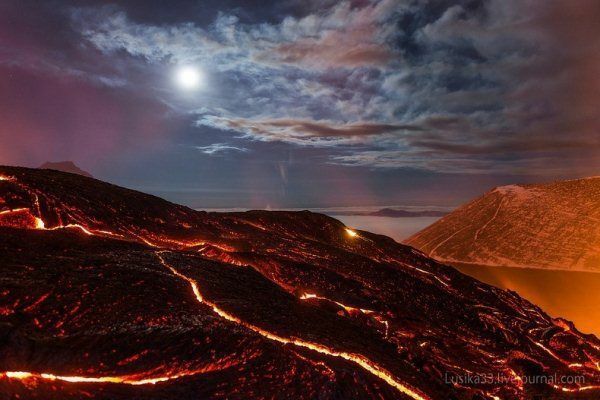 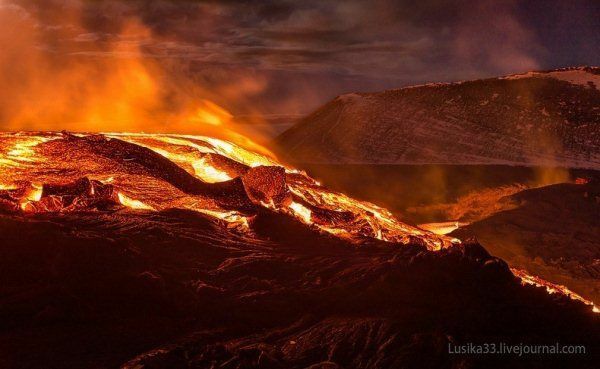 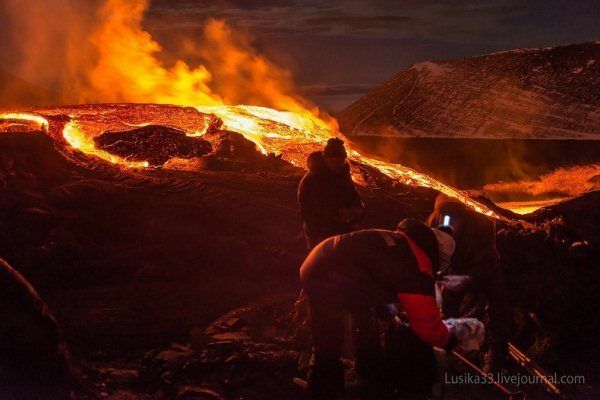 A pair of thrill-seeking photographers, Andrey and Liudmila, braved the dangers of an active volcano and barely got away with these sensational pictures. 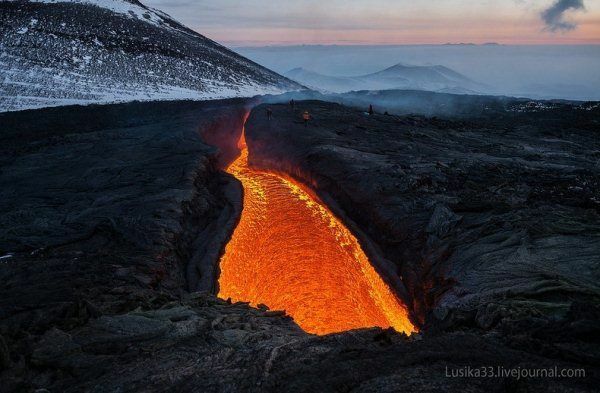 They were calmly standing a safe distance away from the active lava flow when tragedy struck: “at some point we realised that something was in the way of lava stream, and it was getting through every hole and crack it could find – or break through. 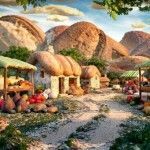 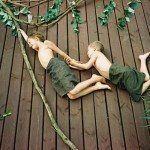 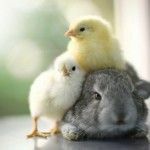 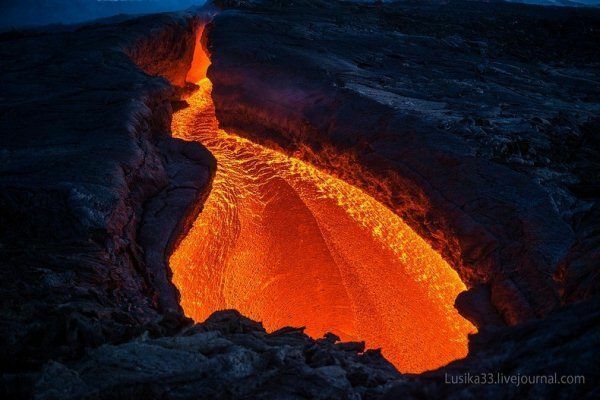 It looks like that the crater, on the edge of which we were standing, actually saved our lives because at least lava started leaking inside it, instead of swelling up the slope." 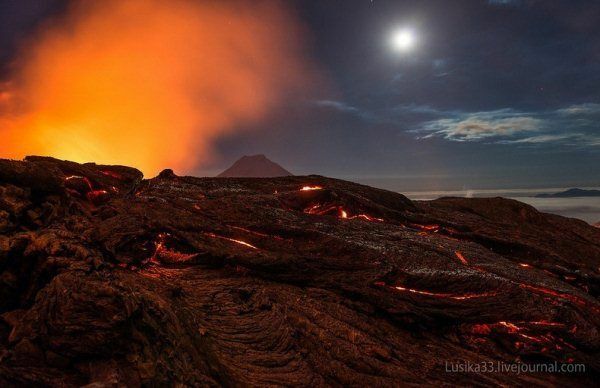 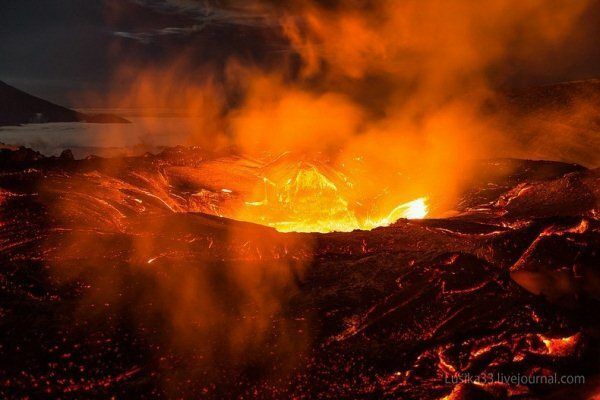 One of the volcanologists lost his backpack to an errant lava flow, but the pair got away with bragging rights and scores of hard-core photos.